Congratulations Cloud River Academy Grads! 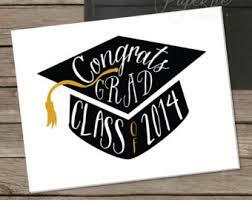 Congratulations to the graduating class of 2014! The Town of Roddickton-Bide Arm is now accepting names of non-profit organizations who would be interested in running the canteen at the Arena before, after and during the 15 minute intermission for the Wonderbolt Circus on Saturday, June 7. If your organization is interested, please contact the Town Office on or before Wednesday, May 28.
for Roddickton-Bide Arm Recreation Get Moving Program for Children and Youth. The position is for approximately 20 weeks at 25 hours per week starting as soon as a suitable candidate is found. Hours of work are flexible. The successful person will have to provide a code of conduct to work with kids. Please apply in confidence to the attention of the undersigned in person, by mail, email or fax. Resumes must be received by 4:30 p.m., June 6, 2014. Tickets for the Wonderbolt Circus will be going on sale starting Monday, May 5. They can be purchases at the Roddickton-Bide Arm Town Office from 8:30 – 4:30 Monday to Friday excluding lunch hour from 12 noon to 1 pm. Show starts at 7:00 PM. Canteen service will be offered before and after the show and during intermission. A clown workshop will be offered on Saturday, June 7 at 4:00 PM. Space is limited for the workshop. They will provide a four person show featuring stilt walking, juggling, clowning, acrobatics, plate spinning, unicycling, diabolo, LED lit poi and staff twirling, pyrotechnics, etc. and a variety of busker acts. Tickets for the Wonderbolt Circus will be going on sale starting Monday, May 5. They can be purchases at the Town Office from 8:30 – 4:30 Monday to Friday excluding lunch hour from 12 noon to 1 pm. A clown workshop will be offered at 4:00 PM. Space is limited for the workshop.